A case will keep your iPhone’s value. 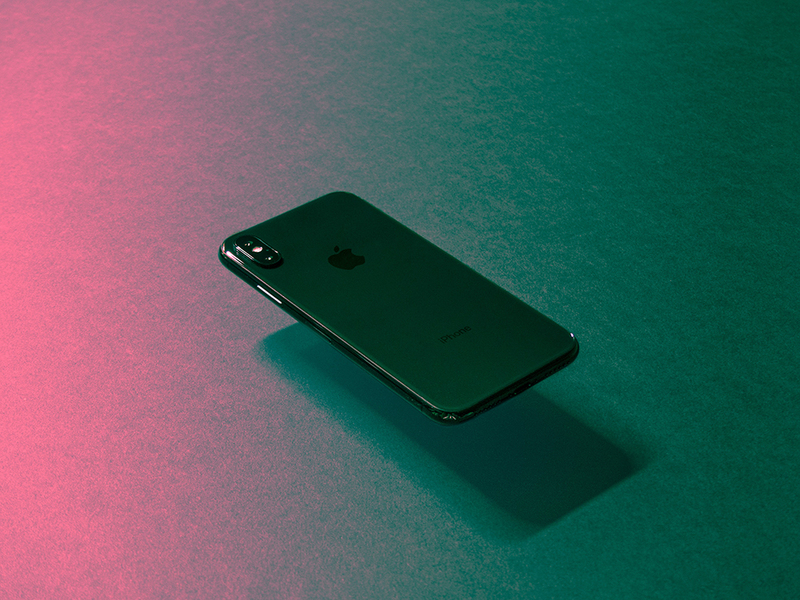 We have listed the best luxury cases for the iPhone X that you would consider adding it to your shopping list. These luxury iPhone X cases are hot on the market and are currently best selling. iATO is a new brand but they have a great range of mobile accessories with a more sophisticated approach taken to them with wood finishes being a typical element. This case has a soft touch plastic that is a fingerprint magnet. The small border on this iPhone X case helps to make it look like there’s a minimal bulk. The power and volume buttons coverings have enough tactility as well. The microphone and speaker array located at the base of the phone has ideal alignment and provides how much attention to detail is taken by the company throughout their product development. 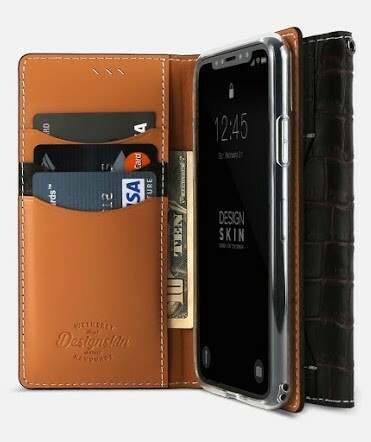 DesignSkin’s Handmade Leather Wallet Case is a great looking luxury leather case, with a room for 4 card slots. 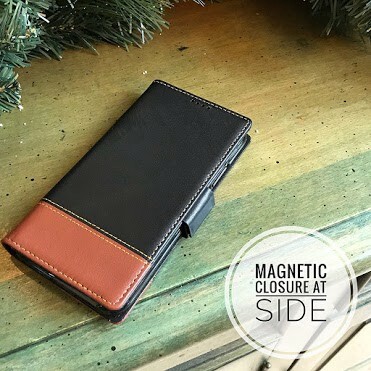 The phone fits into a removable leather case, which magnetically glues to the inside of the folio, letting you ditch the wallet portion if you don’t need it. This iPhone X case is made of a crocodile leather inspire design with a classy and elegant pattern and is 100% handmade by tailors with over twenty years of experience. Its soft and authentic leather will surely catch your attention due to it’s luxurious design. This case is perfect for those people with a more demanding lifestyle. The case is well-fitted for day-to-day use. 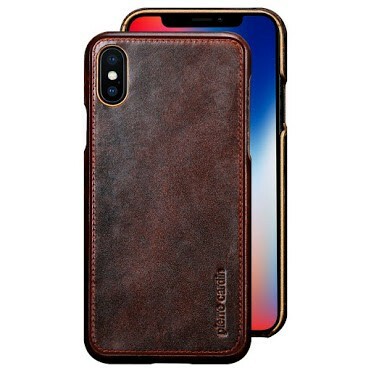 This leather wallet case from Apple is one of the great protectors for the iPhone X. It provides enough coverage of the phone’s body to safeguard against most minor drops and major cuffs, and it has enough lip securing the screen, but it is still light and thin. Utilizing this case instead of a more protective case is like the difference between using a leather dress boot and a hiking boot – indeed, the hiking boot would be more comfortable and protective, but if you are not hiking, forgoing a bit of comfort and protection for style is oftentimes worthwhile. The Monarch Feather-Light Case from UAG encompasses a precise engineering and premium design to offer a case, which meets the military standard for shock and drop protection. It features a handcrafted, featherlight construction along with five layers of protection with a luxurious look. It weighs around 1.4 ounces and it is the ideal case for iPhone X for those people who prefer maximum protection and sleek style without bulk. Its low profile, lint-resistant, and friction-free package easily slip in-and-out of your pocket. Surely, Monarch’s design of the camera opening offers a glare-free flash, making sure that the case does not obstruct the quest for smooth photos on the iPhone X. Designed for iPhone X and made of premium genuine Italian leather, this case from iPulse offers luxury looking and surely will be aged more beautiful and brighter. The classic vintage looks of this case look with great stitches and handmade details that will surely make this case lasts longer than you could ever expect. This leather wallet case is contoured, meaning the phone’s switches, camera, USB vents, and mic could be accessed swiftly. Further, the magnetic closing framework, as well as embedded hands-free stand, adds to its covet capability quotient. The item looks like like a vestige bookcase. Reveal’s mission is to bring old-world artistry into the smartphone-laden future, and its case does just that. 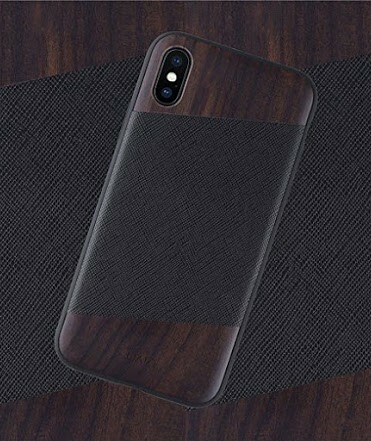 This case is hand-assembled and the walnut wood iPhone X case is specifically made to safeguard your device. It features an excellent coverage with a good wrap around design, which has fitted cushions and openings for every button and a raised lip, which aids to safeguard the camera and screen. Reveal utilize natural walnut combined with a layer of TPU rubber under to make this case extra shock absorbing. On top of that, the soft yet firm combination of the rubber and wood together offers excellent drop protection for your iPhone X. This genuine cow leather case from Pierre Cardin utilizes the first layer of leather that is purely natural. 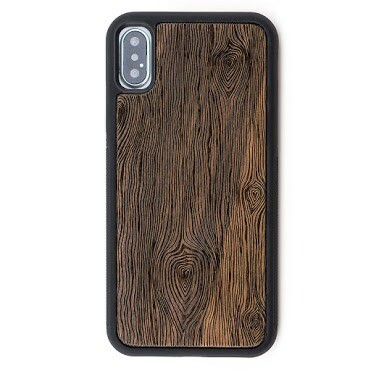 One thing that makes this iPhone X case stands out is that there’s no decoration on the surface of the skin other than dyeing. The first layer of its leather has the authentic skin attributes with skin texture and vivid pores that gives it a luxury look. This can easily self-repair even if you scratch it unintentionally. It’s so easy to absorb sweat, and the longer you use it, the deeper its color will be. 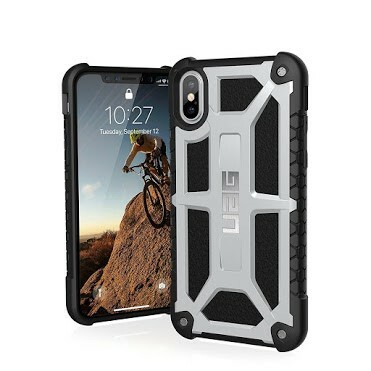 This case is ideal for those iPhone X users who are always on the go. 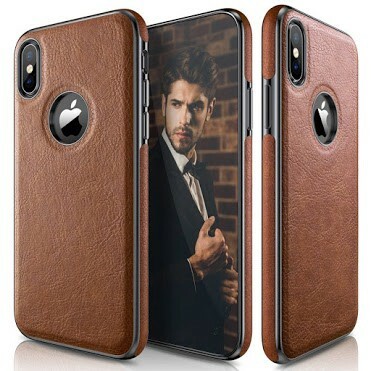 Are you looking for a case that matches with superb workmanship and sophisticated look that will improve your elegant taste and honorable status? Well, the ultra slim and thin premium leather case from LOHASIC is the perfect option for you! This case has easy access to every button with a responsive button cover and it will safeguard your precious phone from any scratches, dust, and dirt! LOHASIC designed this iPhone X case form fitted to keep a comfortable grip and slim profile. Its leather coated is made from premium handmade PU leather without stitching and its gold electroplated frame in the button and the rear camera makes it extra luxurious. 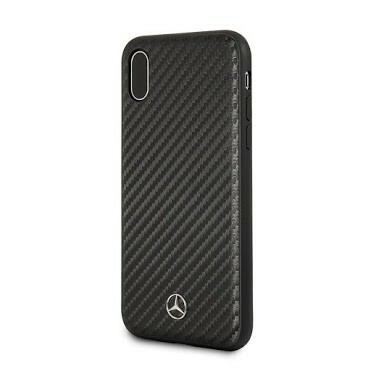 This case is a licensed Mercedes Benz product, which is made to fit your iPhone X. 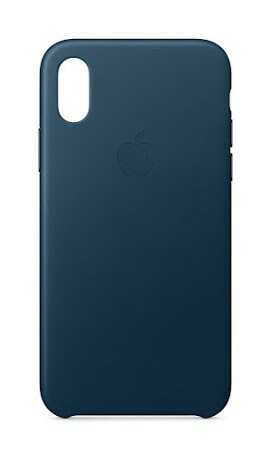 The design of the case is intended to be slim, offering protection, without adding too much bulk. Its back features premium carbon fiber along with the sought-after Mercedes-Benz emblem. Moreover, the black carbon fiber of this case is offset by the grayish shell. What makes this case special is that it offers a modern and high-tech look. It’s h3 in specific applications and is used in cool applications such as exotic vehicles. It’s ultra lightweight and features next-generation material to keep your iPhone X protected. A sophisticated phone cover, made with smooth, genuine leather over a hard interior shell. 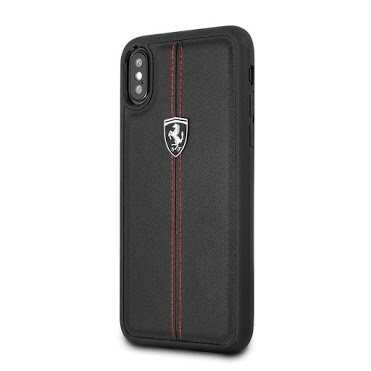 This leather case from Ferrari is built to safeguard your iPhone X while maintaining a sleek contemporary vibe into it. The legendary Italian sports car company has a comprehensive knowledge in creating a bold first impression. The creators of the Ferrari are expanding their products to the modern world. Providing nothing less than the most admirable sports vehicle, their protective case is made of durable, high-quality materials to offer the high-end look you expect from the Ferrari cars. This case is embellished contrasted piping and the trademark logo for a 3D effect.